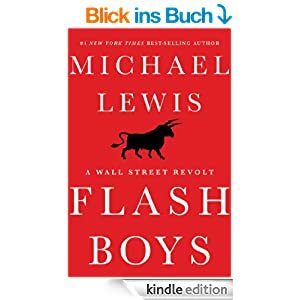 Following the current hype, I read over the weekend the new book “Flash boys” from Micheal Lewis. 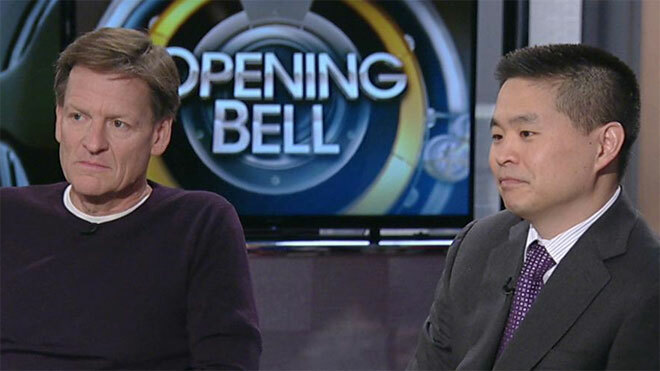 Michael Lewis is most likely the best “writer” of finance books and the new book is now exception. As in most of his books, he focuses on specific person who are usually some kind of outsiders. In this book, the focus is mostly on an equity trader named Brad Katsuyama who stumbles over the fact that he is not able to make a profit any more in equity block trading at his old job at Royal Bank of Canada (RBC). Step by step he discovers more and more details how so-called “High Frequency traders” (HFT) are able to exploit tiny timing advantages to squeeze out riskless profits from big orders. This goes as far as HFT companies paying loads of money for direct fiber connections and for the privilege to put their machines directly next to the stock exchange computers in order to get any “micro second” advantage they can get. In HFT, suddenly knowledge about how computer signals are being transmitted are becoming more important than any kind of fundamental knowledge about stocks, so he assembles a team of TelCo and computer experts in order to understand what is going on. AFter Katsuyama discovers that the markets are pretty unfair, he decides to quit RBC and starts to build a new, slower and fairer stock exchange called IEX which does not allow HFT to conduct their strategies. Lewis weaves in 2 other stories, one from an entrepreneur who digs out a fiber optic line between Chicago and the east cost and the other, which Lewis had already published separately in 2013 about Serge Aleinikov, the Russian born Goldman Sachs programer who got tracked down and arrested for stealing computer code. In my opinion, the book is written very well and despite being an easy read, is pretty helpful to understand what is going on in the HFT area. Lewis covers specifically the time difference arbitrage between the fragmented US exchanges, which interestingly became only possible because of regulation which was targeted to prevent abuse but backfired. To a lesser extend, he also touches the issue that at US exchanges, professional players can use hundreds of different order types which gives them a big advantage. SOme f them seem to work that they seem to offer a certain price but when you want to buy, they suddenly disappear and/or get more expensive. Finally, he also looks at the so-called “dark pools” of the banks where a lot of trades are made without any transparency for clients. Personally, I do think that HFT creates certain issues as seen in the Flash Crash some years ago. But overall, I do not have the feeling that HFT is the only reason why the market is “rigged” as Lewis implies in many parts of the book. For instance, algorithmic or program trading is much older than high frequency trading. People atbank equity desks like Katsuyama used those algos to trade their large orders before. Those programs created nice profits for the banks without much risk. Usually, a client would give a “VWAP” order to the broker, who then would bill the client the VWAP, but would execute the trade via an intelligent algo who would make sure that the bank would make a profit. I actually met I guy once who had programmed such an algo for Lehman in the 90ties. The profits from this algos and the resulting bonuses for him allowed him to retire in his 40ties. What those HFT shops seem to do is to “sniff out” the algos of the banks and then trade against them with lightning speed and exploit their weaknesses. In my opinion this is also one of the reasons why the banks created their “dark pools”. As a little guy, I do not care that much of an extra penny or so per trade.I pay substantial fees in any case and trade once or twice a month. A flash crash for me is a non-event as I just sit it out. For me, “market rigging” comes much more in the form of things like low ball take-overs from Private Equity shops with CEO consenting and getting big bonuses, unfair minority shareholder provisions, stock lending fees in ETFs with an unfair fee split, classic insider trading, “adjusted” earnings etc.etc. So as a summary I would say: It is a very entertaining book and HFT is clearly an issue. However for the “small guy” which gets referred to quite often in the book, there are a lot more other issues in the market. HFT for me seems to be rather an issue for banks and institutional investors than for a little guy with a “slow trading” stock portfolio. I just finished reading The Big Short (I’m a little behind the trends :p) and Lewis is definitely a skilled writer, I think it’s the only finance book I’ve finished within 2 days! Will give Flash Boys a read.